Coaching to inspire, motivate and keep it positive! 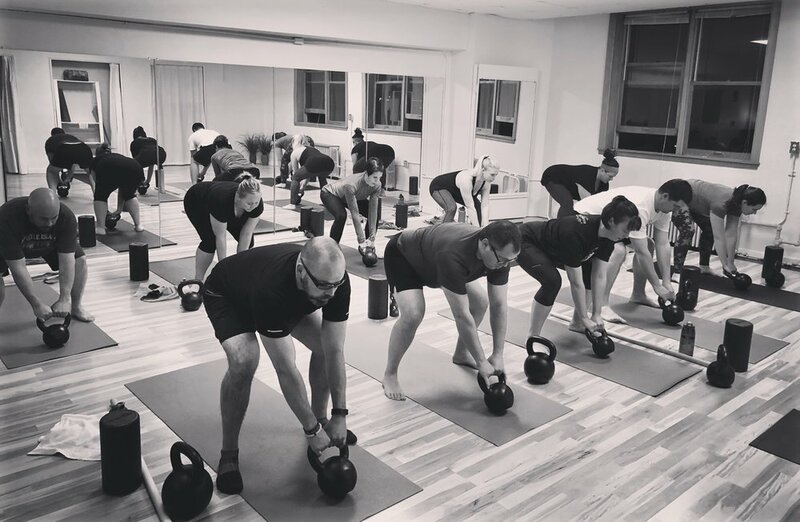 Inspired by Owner/Instructor Ericka’s own fitness journey and coaching background at a variety of fitness facilities over the past decade, EDK Training was born in 2016 with the mission to provide affordable training and expert coaching to everyone in the community – no matter what age or skill level – nothing fancy, just simple, different and effective. At EDK we value a great workout, but honor an individualized training approach and a strong sense of community. The EDK Studio is a positive, casual and welcoming space, encouraging of all fitness backgrounds. We’re serious about strength, but we love to laugh and have fun in the process – the key to EDK! EDK exists to empower all students to take care of Number One – YOU. It is a deeply rewarding investment to spend your time, energy and dollars on your personal health and fitness goals. EDK Training promotes the confidence and resilience that lies within all of us to make healthy lifestyle changes and do so without financial stress. At EDK we earn our strength, breaking boundaries once thought impossible. Every student is a “Bell Boss” at EDK and we take pride in the heart that cultivates a strong training community. We focus on sustainable and proven training methods that effectively guide each student through their own individual fitness journey. EDK students believe in dedication to practice and commit to achieving desired change at their own pace. As ambassadors of the EDK mission, we avoid burn out, trust the process and support each other every step of the way. You have the opportunity to experience life changing training programs without breaking the bank. Isn’t that what matters most? We think so!